Biscuits are not often included in gastronomic or food history books and especially not ones that are relatively unsophisticated and consumed, until recently, only in a particular part of Western Europe. Yet the modest little speculoos biscuit is now finding fame much further afield, and not just in the form of a biscuit! 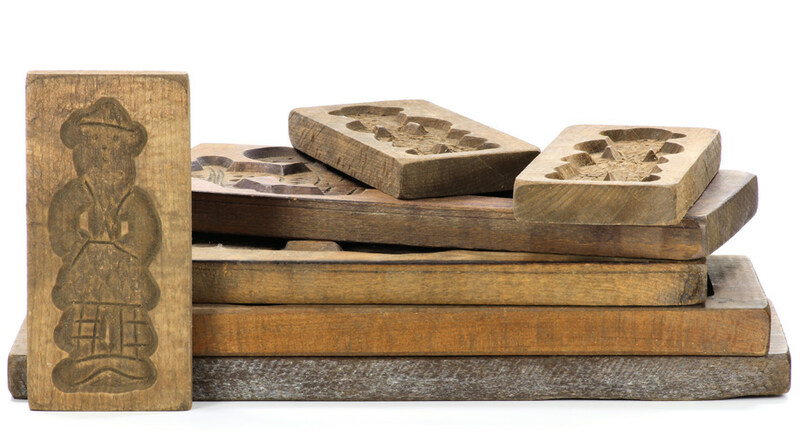 Throughout history, sweets, cakes and biscuits have been associated with special occasions, including religious celebrations, and such sweet things were often shaped or moulded to remember a particular person or event. As far back as the Romans, children were given biscuits made from flour and honey bearing images of the Olympian gods as end-of-year gifts. 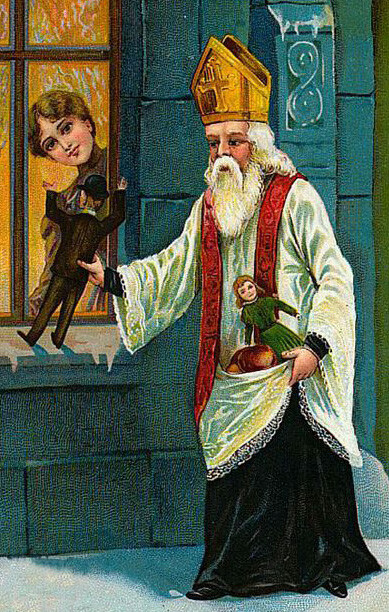 In Belgium, the Netherlands and northern France, children traditionally receive spicy speculoos biscuits, moulded in the figure of Saint Nicolas, when they receive gifts brought by the Saint on December 6th, or during the night of December 5th. The conditions for receiving the speculoos are the same as for the toys and games they receive: the children must have behaved themselves during the previous year! Perhaps the most surprising thing about the simple but tasty little biscuit known as speculoos is the amount of disagreement about the origin of its name. The Dutch hold that speculaas biscuits originated in the Netherlands in the 17th century, a time when spices brought to Europe by the Dutch East India Company were becoming more widely available. Spices that made their appearance at that time included ones that were often used in the speculoos recipe such as cinnamon, cloves, mace and ginger. Credit for the creation of speculoos, as they are known in Belgium (speculos in France), is generally given to a Belgian patissier from Flanders called Antonie (or Antoine) Deplée. In 1870, Mr Deplée registered the recipe for speculoos in Hasselt and production of the biscuits has remained essentially Belgian ever since. The biscuits are traditionally made from brown sugar, eggs, butter and flour and flavoured with cinnamon and sometimes other spices. Prior to baking, the mixture is pressed into wooden moulds that resemble Saint Nicolas, with his bishop’s robes and mitre. For such a simple recipe, the speculoos has a highly individual and much loved taste. The use of brown sugar, known as cassonade not only endows the biscuits with a really crunchy mouth feel and rich dark colour, it also makes them intensely sweet. The addition of cinnamon, the spice traditionally used in speculoos, is a reminder of winter and end-of-year celebrations. Nevertheless, these days, there are many versions of speculoos, some of which use other spices such as cloves, ginger, nutmeg, white pepper and cardamom that really do spice up the speculoos! Speculoos are still widely produced in local bakeries in Belgium, the Netherlands and France. In the period around December 6th, the feast of Saint Nicolas, many bakeries still proudly exhibit in their shop windows really large speculoos, made in traditional moulds. Manufacturers now produce speculoos in small, medium and larger formats and in individual as well as family-sized packets. More recently, there have been other exciting innovations in the food manufacturing sector. Speculoos have found their way into bars of chocolate – both milk and white – and chocolate truffles, into ice-cream and cream desserts and there are even speculoos spreads with the choice of smooth or crunchy! The large-scale production of speculoos has resulted in them also being produced as simple, rectangular biscuits rather than shaped as Saint Nicolas. For many years, this simple spicy biscuit has been served, individually wrapped, in cafés and restaurants in Belgium as the perfect complement when a customer asks for a coffee or other hot drink. It’s a habit that is now crossing international borders. The name has not always succeeded in successfully travelling with the biscuit, but who knows, maybe one day we will find speculoos adapted into all sorts of other languages! Put the liquids in the bottom of the mixing bowl and the cake mix on top. Mix for 5 min medium speed. Pipe 80 g into the paper muffin moulds and bake: top 200°C and bottom 180°C for approx 25 min. Make and bake the muffin. Once cooled down, fill with Deli Speculoos* (15 g). Put some lines of Deli Speculoos* on top and push into Speculoos crunchy. Mix all ingredients except the brown sugar and the cinnamon together for 4 min at medium speed. Mix together the brown sugar and the cinnamon and add at the end of the mixing time to the cake mixture. Fill silicon moulds two-thirds full (mould N° 1489). Bake at 180°C for approx. 15 min. Carat Coverlux Milk* (Compound Chocolate) Q.S. Bake the cake balls, allow to cool down, fill with Deli Speculoos* and freeze them to demould and finish. Heat the Carat Coverlux Milk* (compound chocolate) till 38°C and enrobe the cake balls. Roll them directly into the speculoos crumble. Based on the famous Belgian speculoos, Deli Speculoos is a filling that contains caramelised speculoos biscuit. The perfect filling that allows you to let your creativity speak.